INCITE will be launching Issue #3: New Ages, which includes a piece I wrote, called "Capturing Chaos: Reflections on The Magus". The launch will feature a screening of works by artists in the new issue, including my film, "The Magus". 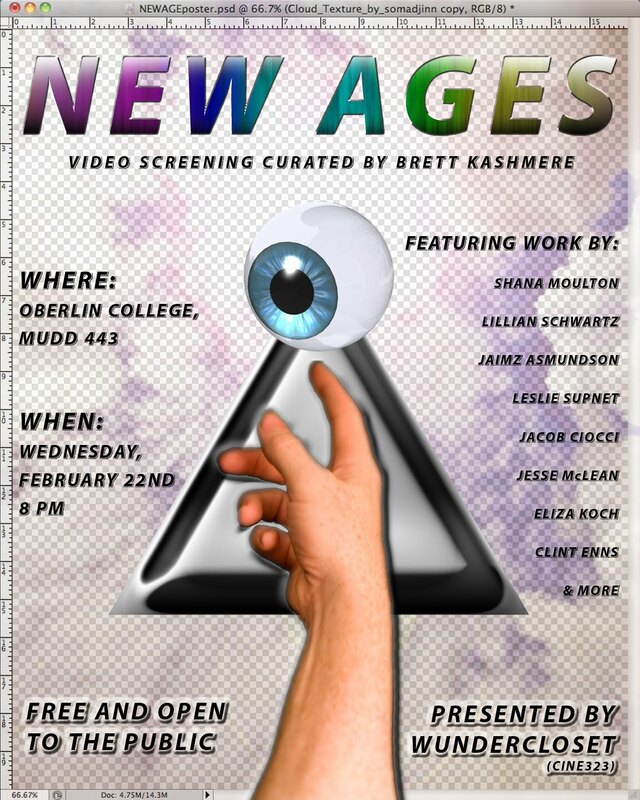 Wednesday (2/22) in Oberlin: New Ages screening + launch of INCITE Journal of Experimental Media #3. 8pm, Mudd 443. Presented by Wundercloset. This is a new age (for New Age-ism). Although it may be in vogue now, New Age subculture was once the subject of widespread ridicule and scorn. Combining quasi-religious mysticism with self-help philosophy and environmental concern, the New Age movement gained mainstream awareness during the height of self-absorbed Reaganomics and the rise of corporate power (i.e. "Greed is good."). This duality—of alternative spirituality based in holistic health, environmentalism, meditation, and simple living, and its pop commercialization (i.e. whale music CDs sold in strip malls)—produced a values-based sociopolitical phenomenon that was hard to take seriously. So how do we account for the current fascination with New Age concepts and aesthetics among many of today’s emergent media practitioners? As ironic appropriation? As a desire to reconnect with non-Western medicine, environmental causes, organic farming, etc? As '80s-era nostalgia? The Web 2.0, via services such as YouTube, has made it possible to instantly re-experience the media memories of our recent past or stoke a younger generation's enchantment with a past not their own. In an era marked by both religious and political fervor and cynicism, it's hard not to see the positive in reclaiming an inclusive, optimistic, if naive, spiritual movement.